You might have done it already, or you might have thought about It - but do you know we receive question after question through our helpdesk (?Help) and we are always more than happy to reply with a proper answer. 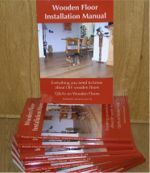 "I am going to be sanding my Parquet floor in the Hall, Living & Dining room & would like to keep it as natural as possible. I have seen the Osmo PolyX Raw which looks like you put Original over the top of it. Is Osmo a good choice or should i be looking at something different? I would like a Satin finish when done"
Lately we feel however we are copying posts from the past to keep you informed, where we like to add new content to our site. So, help us out and ask your question using the helpdesk function - the ?Help button can be found on every page of our site. Your question might end up helping others too when it turns into a blogpost! P.S. If you use the helpdesk for the first time do not forget to link in the first email the helpdesk sends you, this is to confirm your emailaddress and to make sure we receive your question in our inbox . Last month we were a bit (too) optimistic about Sping arriving - just look at the weather this Easter Weekend - but.... Spring is - although slowly - definitely approaching and warmer weather will arrive shortly. Which means, for all those with Underfloor Heating underneath their wooden floor, the heating can and will be turned down a notch of two - perhaps even more. Your wooden floor has had a true battering this long and cold Winter and beginning of Spring, so is in high need of some pampering. The heating had dried out the wood and your floor will be ever so grateful for a polish treatment. No matter what the finish is on your wooden floor, be it oil, wax or lacquer, all will benefit from some maintenance applied to it. And this is quite simple, splash some polish on the floor and gently spread it out with a cloth, using s Swiffer type of tool will make it even easier (using a dry cloth underneath!). You wooden floor will gladly absorb the moisturising polish and start shining again, becoming that lovely and beautiful floor covering it was in the beginning. So, get out the cleaning and maintenance gear and watch your wooden floor "smile" again , it will always reward you for the smallest pampering you give it. And remember, a happy floor is a long lasting floor. In our secure webshop you will find all the products you need, from a wash to a polish and a wax.